Climate change – what does it mean and does it really matter? Our planet is in severe danger. Deforestation, ever-growing landfills and the increase in greenhouse gases are creating irreversible effects that we will only feel the full impact of in a number of years time. The United Nations recently held a summit in which they explained just exactly what it is that is happening to our planet and what the world leaders attending that summit could do to implement changes across the globe. The only problem with their explanations? You need a university degree in biophysics to understand exactly what was being shared. Many global reports, while backed up with frightening statistics and truths, often make use of jargon that is inaccessible to the common man, and the impact of what they are aiming to change is missed by the reader. The result? We are doing nothing about it. Greenhouse Gases: Simply put, a greenhouse gas is a gas that absorbs infrared radiation. Greenhouse gases exist in the earth’s atmosphere and absorb the infrared radiation that is released from the sun. The more heat and radiation that is trapped by the gases in the atmosphere, the less those gases are released back into space, and the more our earth’s surface heats up. The most common greenhouse gases are carbon dioxide, water vapour and methane. Carbon Footprint: This is the total amount of greenhouse gases produced to support human activities. For example, when you drive a car, a certain amount of carbon dioxide (CO2) is produced. Similarly, when you heat your house using gas or electricity, a percentage of CO2 would have been emitted to have generate the power and heat. Your carbon footprint is therefore the total number of carbon emissions that we induced by your activities. 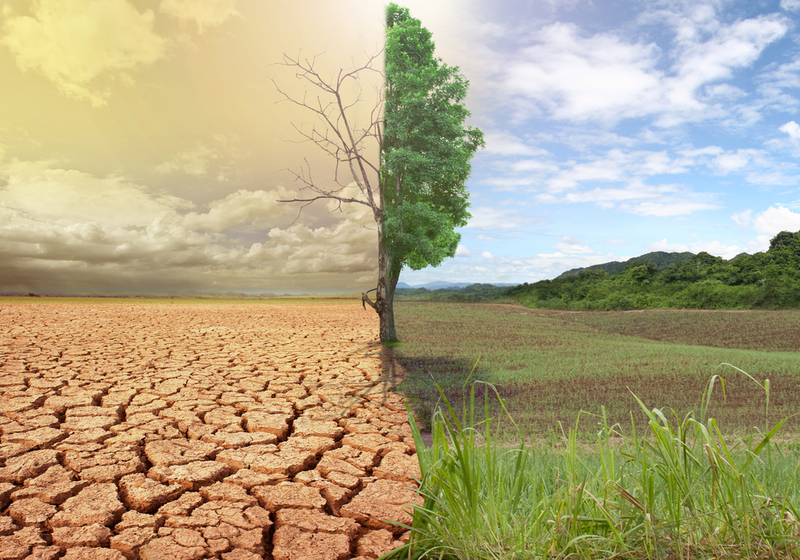 Climate Change: The difference in the earth’s global climate (weather and temperature) over a period of time is called climate change. Changes in weather patterns are observed over a significant time and the abnormal variations to the climate are deemed climate changes. What do these have to do with endangering our earth, and what can we do about it? In short, the earth’s temperature is rising slowly but surely, and as a result, a number of things are happening. Firstly, with the ice caps melting, the sea levels are rising. For those who are based inland, it may not seem like a big deal, but the reality for cities and countries that are low lying, the chances of that land and those homes disappearing is increasing daily. This in turn impacts our ecosystems. With the rapid pace that the earth’s temperature is rising at, plants and animals are unable to adapt to their new environments and as a result will likely become extinct. Coral reefs will disappear, breeding habitats for birds are being destroyed and as a result, our vital ecosystems will crumble. The impact on humanity will also be significant. Not only will we see an increase in erratic weather conditions and natural disasters, we will also experience difficulty in growing food in certain parts of the globe as a result of changing conditions. Pests and diseases are also predicted to increase rapidly, impacting our health and well-being overall. So what can we do to make a difference? Reduce your carbon emissions and use less energy, or use energy more efficiently. Practical examples are to use energy-saving light bulbs and reduce the use of cars (a major contributor to global warming) by using public transport or cycle to work where possible. We may not think that our little bit matters, but if every one of us adopt that attitude, we will remain on a downward spiral to disaster. To quote Chris Woodford, “The bottom line is simple: there remains a distinct lack of urgency in tackling climate change. What will it take to make us wake up to global warming? And when we finally do, will it already be too late?” (Global warming and climate change; December 2015).